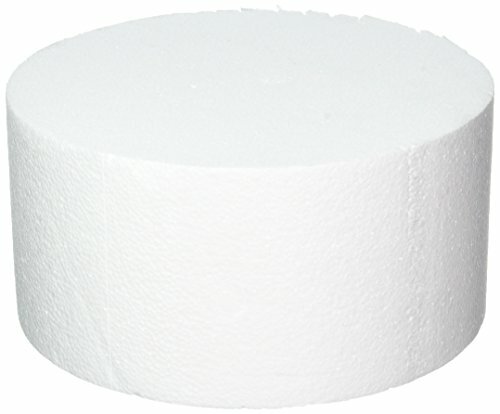 This Styrofoam cake dummy is great for practicing cake decorating or for creating a long-lasting display. Or, use it instead of a real cake to add an inexpensive layer to a tiered wedding cake. NOTE: Due to the cuts which are necessary to form this cake dummy, and the nature of Styrofoam, there may be some imperfections along the edges or sides of the cake dummy; these are a result of the manufacturing process and are not defects or damages; use a thin layer of icing to hide any such imperfections. Credits will not be given for these imperfection, such as dents, dings, scratches, and so on. Sizes are not exact, they are approximate.